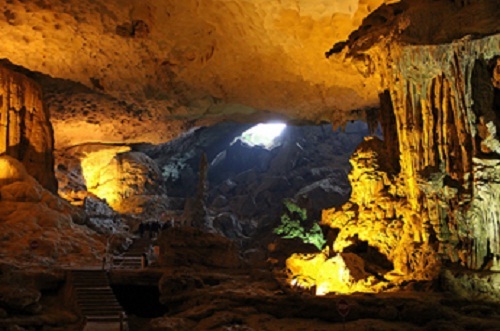 Thien Cung is also a beautiful cave, located southwest of Halong Bay. Mobile uplink crags, lush vegetation sides covered road. As in the more amazed I vividly the beauty and splendor of the truth, even now, when the thing out front we see all the beauty of Halong Thien Cung. 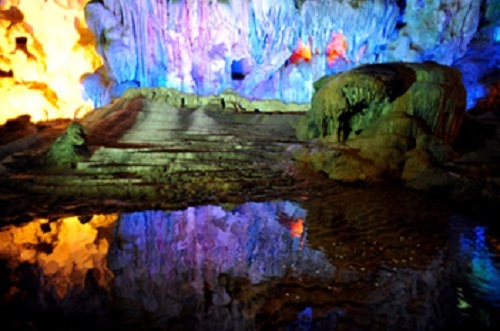 The cave is located near Dau Go cave, the cave at a height of 25m. 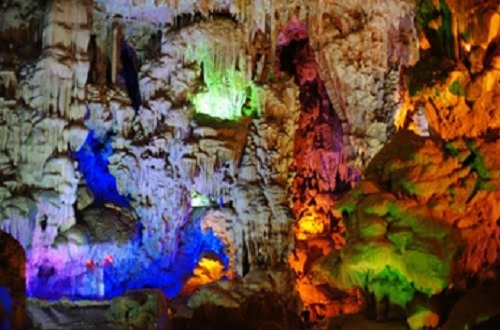 this is one the most beautiful caves in Ha Long that people know about. 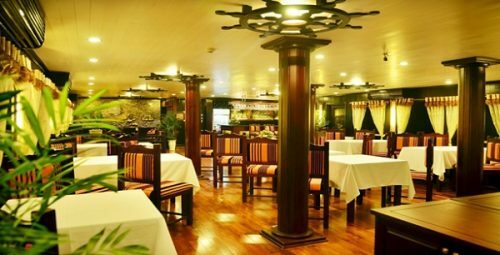 Hang covers approximately 10,000m2 structure is complex, multi-level and multi-compartment with a very high ceiling and shore walls, wide. Especially in the cave, we see the countless stalactites blocks, stalagmites with strange shapes. So it was envisioned both a legend about the love and the parting of the Dragon announced, Dragon mother took place on the cliff or think this is the image of the labyrinth of the Persian Emperor in the story Thousand one nights. In the inner corner, hang out with a back door through the small, overlooking a small bay enclosed by a mountainous region offers. In the cave also has an inscription found on the cliffs and number 1910. Perhaps this is the autograph of the first explorers have ventured into this cave. Now they have built quite a staircase, beautiful and sophisticated lobby both outside and inside the cave with lighting systems for visitors to easily visit the cave. 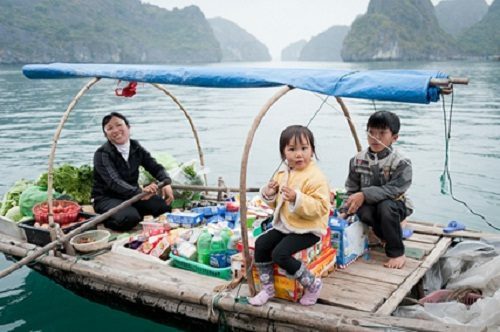 Thien Cung is officially opened to tourists and has since formed a wave traveling to the Halong Bay. This is the first action in Halong was man barking into a large scale. Coming up this cave will be renovated again with the aim of trying to preserve its natural beauty.